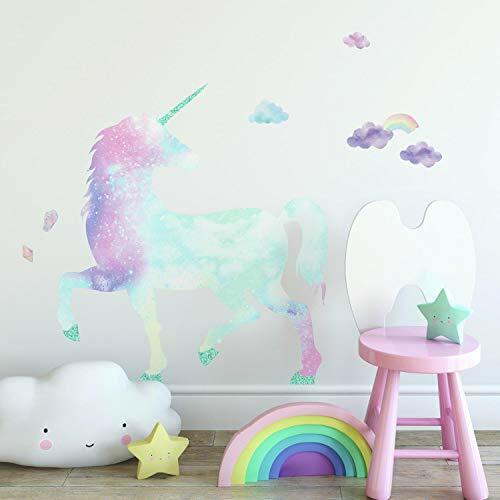 Walls instantly come to life with Galaxy Unicorn Peel and Stick Giant Wall Decal with Glitter. Complete with 17 wall decals, spread this decorative theme throughout an entire room in seconds. The application process is fast and easy. Simply peel and stick decals to any smooth, flat surface. Remove, reposition, and reuse as often as needed while keeping walls and decals completely safe. Recreate this look in your room today with RoomMates.